Comrade Saroj Dutt, commonly known as comrade SD, is an important name in the history of Indian Communist movement. He was born in 1914 in a semi-landlord family of Jessore in East Bengal. Comrade SD joined the Amrita Bazar Patrika, after completing his post graduation in English from University of Calcutta in early forties. Later he became a political whole-timer, and joined Swadhinata, the organ of the Bengal State Committee of the CPI. He was also the editor of the famous literary journal – Parichaye. 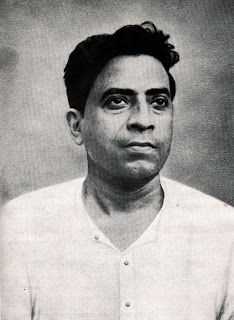 During his imprisonment in 1962, SD came in contact with Comrade Charu Majumdar. Being a staunch communist, he aired harsh criticisms against the Dangeite leadership and joined the CPI (M) after the split in 1964. When the CPI (M) leadership nakedly advocated Khrushchev’s line of class-collaboration, comrades SD, Sushital Roy Choudhuri, Asit Sen and others formed the Marxist-Leninist Institute, an anti revisionist study group. After the Naxalbari upsurge, he vehemently criticized the party leadership and was expelled. Comrade SD was instrumental in the formation of the AICCR and the CPI (M-L). He became the editor of Deshabrati, the Bengali organ of the West Bengal State Committee of the CPI (M-L). He relentlessly fought for the consolidation of comrade Charu Majumdar’s authority, and played an important role in intra-party debates. From 1970 onwards, comrade SD became one of the most wanted persons in India. The police was always hunting for him like a hungry wolf. Finally, in the early hours of 5th August, 1971, he was secretly eliminated by the state machinery. Comrade SD was the ideologue of the famous statue breaking movement, that rocked the urban life of Bengal in the early seventies. His write-ups in “Patrikar Duniyaye” in Deshabrati are treated as rare gems in the treasury of Leftist Journalism. If the State leadership is challenged undemocratically, State has no other option but to thrust the opposition. In communist parties, the word "democracy" is superficially adopted. Mostly, communists are dictatorial and oligarchic. Nobody can question the "supreme leader", the big brother. These Stalinist/Maoist approach was followed by the CPI-ML. It is no wonder that the CPI-ML leadership contains illusionaries like filmmakers, peots, vagabonds and failed lovers. If the leadership was changed and allowed to have certain "bourgeois" self-made professionals like Engineers, lawyers, Scientists as the leaders of the party then there would be some practicality/pragmatism in the philosophy of the party. Otherwise, "ism" is nothing but an umbrella of a few inherently insecure people who made the world worse then they got it. Comrade Saroj Dutta was there to destroy everything which the common people made so meticulously over thousands of years. It was good for the country that he was killed. Why you are saying that this revolution is unfinished? @soumya, please send it to frontier weekly's facebook page for instant publication.